played on Sunday February 10, 2013.
the match in the 40th minute of the match. Nigeria dominated the match right from the start while Burkina Faso looked a bit tired unit. Burkina Faso would still be happy as this was their maiden final appearance in the Cup history. 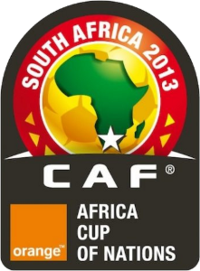 Nigeria and Burkina Faso had earlier drawn the group match 1-1.
performance till date in the cup. 0 Respones to "Nigeria wins Africa Cup of Nations 2013"